When it comes to footballers partying, it seems like more and more of them are into inhaling laughing gas or ‘hippy crack’ as the mainstream press seems to want call it (I’m not calling it) and who can blame them? It’s pretty fun for about 30 seconds and then disappears and I doubt it shows up on a drug test either. The latest stars to be filmed inhaling it are none other than the Arsenal first team, who were indulging in a £30,000 party at a private nightclub before the start of the season. 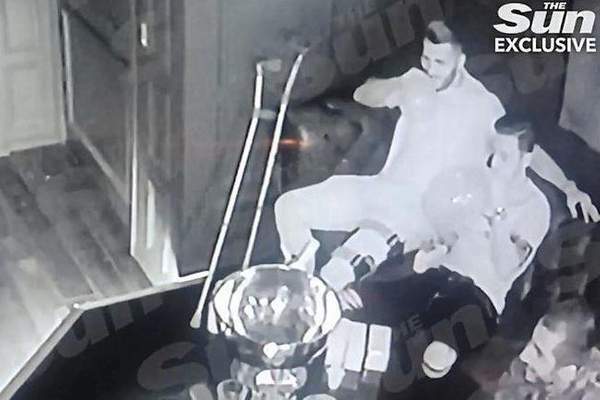 In footage obtained by The Sun and streaming on their website, you can clearly see superstars like Aubameyang, Lacazette, Ozil, Guendozi and Kolasinac all inhaling it and collapsing on sofas at the trendy Tape nightclub in London’s West End. Can’t show you the footage as it’s only on The Sun website but you get the idea. Apparently Arsenal are going to talk to the players and remind them of their responsibilities but I mean why is this even that bad? It’s not like it’s illegal – although it is frowned upon – and you can pretty much see most of the population doing it on a night out or when they hit up a festival. Leave them be and let them get on with it. For more laughing gas, check out this kid getting smashed on the stuff and literally having the time of his life. Why deprive people of that?